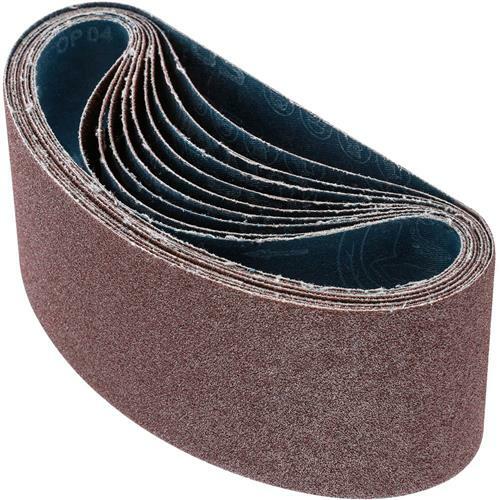 3" x 18" A/O Sanding Belt 60 Grit, 10 pk. Grizzly T24543 - 3" x 18" A/O Sanding Belt 60 Grit, 10 pk. These tough aluminum oxide 60 grit 3" x 18" sanding belts are sized right for all of your belt sanding needs and are sold in a 10 pk. Use these often and they work very well, use them for adjusting the fit of a board or tapering/feathering boards. Rough sanding and sometimes remove on board reuse that has paint on it. The batch cost is what I like very much, thanks.